Advanced Electronics Company (AEC) is a regional pioneer in the development of advanced electronics, serving local, national, and international clients in the defense, security, telecom, manufacturing, systems integration, and repair and maintenance sectors. AEC designs, develops and produces electronic products and systems for civil, military and industrial customers. It also offers a variety of products and solutions including industrial systems, energy systems, telecommunication systems and cultural products. In addition, it provides modification, upgrade, maintenance and repair services for electronic products and systems, apart from providing logistical support services. 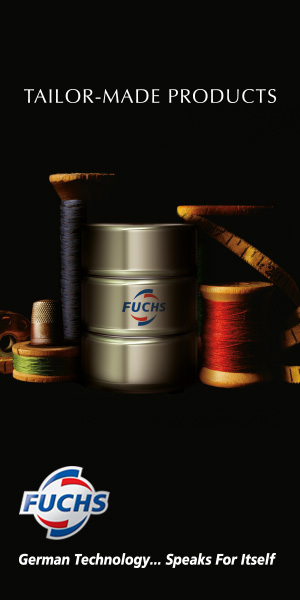 The company serves utilities, security, power and energy, oil, gas, petrochemical, and manufacturing industries. 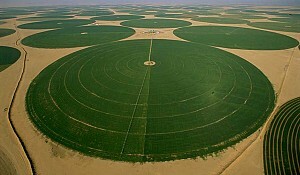 AEC is headquartered in Riyadh, Saudi Arabia. easy and rapid access to other regional markets, customers, and distribution networks. 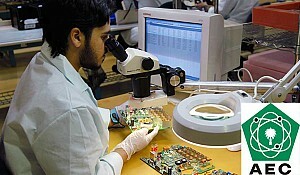 AEC possesses in-depth understanding of the dynamics and structure of the Saudi and international electronics markets. Through its superior technical and engineering capabilities, AEC has forged close working relationships with many renowned international original equipment manufacturers (OEMs). AEC has demonstrated excellence and proven leadership in the Military, Telecom & Industrial business sectors, and prides itself on its excellent end-to-end customer support, reliability and ability to deliver on time and to budget. 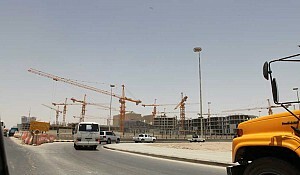 AEC is one of four private companies that grew out of the first Saudi Economic Offset Program (EOP), which was established in connection with the 1984 US Peace Shield program, the French Al Sawary program, and the UK Al Yamamah program. The Saudi EOP was designed to mitigate the substantial costs of large-scale purchases by Saudi Arabia, by providing that the selling entities dedicate a percentage of the purchase price toward economic development. Under EOP guidelines, vendors agree to provide offset investment or services to diversify the economy, create jobs, and attract foreign investment (FDI). Offsets include technology transfer, training programs for skill transfer, and developmental assistance for local manufacturing and assembly operations. AEC was officially established in 1988 to develop critical areas of the economy that had not yet been targeted for growth and development. 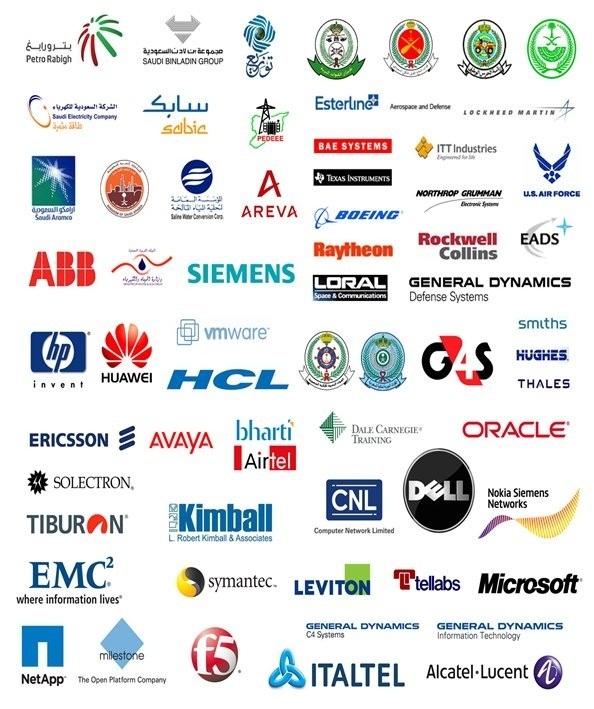 Initially, AEC was dedicated to defense electronics and industrial electronic manufacturing, but soon branched out from defense- and security-related technologies into the telecommunications sector (ITC), information technology (IT), and systems integration for industrial systems in energy (oil and gas, renewables), as well as transportation, healthcare, and e-government. 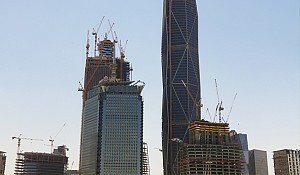 Key element of AEC’s purpose and vision is Saudization, which means creating new capabilities within the economy of Saudi Arabia for local or regional entities to be formed and nurtured, including: manufacturing and assembly facilities, research and development centers, manpower and training of indigenous employees, information and telecommunications technology, and complete development systems that will enable Saudi Arabia and its citizens to take a full and active part in the global economy. AEC is proud that it has developed a work force of more than 2000 employees, 75% of whom are fully trained and technically capable Saudi citizens. AEC is organized around four business areas: Telecom Systems Business Unit (TSBU), Military Systems Business Unit (MSBU), and Industrial Systems Business Unit ISBU), which are overall supported by the Corporate Development Unit (CDU). TSBU focuses on the ICT systems integration, manufacturing and solutions business. MSBU, which is just as large as our Telecom Business Unit, focuses on electronics platforms and manufacturing for the defense sector in Saudi Arabia. 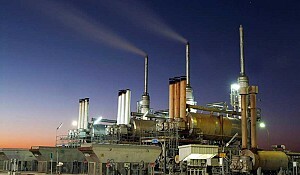 ISBU focuses on energy solutions for the Industrial sector. The MSBU division of AEC is a regional technology leader for the aerospace, defense and security markets. The Industrial Systems Business Unit (ISBU) focuses on the following sectors: utilities, security, power, energy (including oil and gas, and renewables) and industrial business. AEC also offers manufacturing services to major OEM's operating in these sectors. AEC specializes in custom-built and integrated solutions. AEC offers a complete range of solutions, from complete turnkey projects to pure retrofit projects, designed to meet local requirements. AEC’s ISBU offers a full spectrum of commercial manufacturing capabilities, from assembly lines to full system integration and testing services, including real-time Work in Progress (WIP) tracking and reporting systems performed though an Enterprise Resource Planning management system. The Corporate Development Unit (CDU) has four key functions: Strategic Marketing, Strategic Planning, New Business generation and New Business Building. Formed in 1988, AEC won its first contract in 1990 for components of the F15 airplane and Abrams tanks. Boeing Industrial Technology Group and others provided the initial equity. These contracts were ideal for entry into the field because they were very highly structured, expensive, accommodated significant technology transfer, and required major skill sharing and manpower education and training. The overall challenge was to change the image of Saudi Arabia into an exporter as opposed to importer, by enabling Saudi companies and nationals to enter directly into the production process. The technologically complex nature of these initial projects enabled AEC to develop its own local R&D capabilities for engineering, maintenance and support systems, and systems integration and deployment. 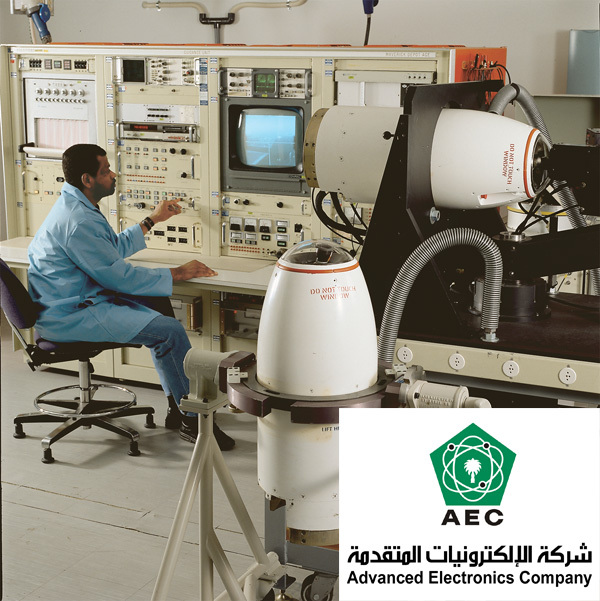 By 1994, AEC developed the capability to diversity into the Telecom sector. AEC won the AT&T—now Lucent—contract to become the prime electronic subcontractor for Saudi Telecom (STC) to expand the Kingdom’s landline network, providing circuits, etc. 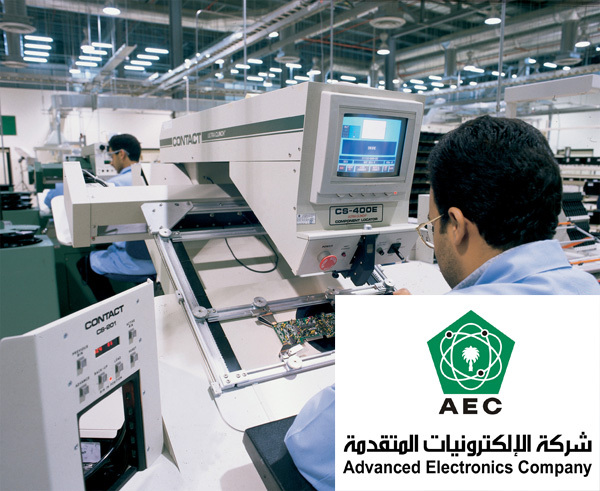 In the early 2000s, AEC expanded into handhelds sector, becoming by 2010 one of the largest companies in Saudi Arabia in the field of ITC development. In the mid-2000s, AEC also saw the opportunities in the industrial sector—Power/Energy/Industrial automatisation. AEC began developing many of its own products for production, and began actively forming partnerships with global OEMs. Thus, AEC has is playing an important part in reducing the dependence of the Kingdom of Saudi Arabia on imports and foreign workers and allowing the Kingdom and its citizens to take an active and productive part in the global economy. Fleet Services. June 2013, AEC signs a partnership agreement with Etihad Etisalat (Mobily) to launch a turnkey fleet management service that will provide a one-shop, end-to-end service for business customers to effectively and efficiently manage their corporate fleet resources. Solar Energy. March 2013, AEC signed a memorandum of understanding with KACO New Energy of Germany to develop new business opportunities in solar energy. AEC and KACO New Energy agreed that it is in the best interests of their companies to work together in exploring the development of photovoltaic solar energy opportunities. Among a number of objectives and initiatives for consideration is the potential to set up PV inverter manufacturing at AEC for the Kingdom and MENA region. 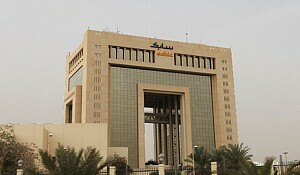 The plan is to also establish a customer support and maintenance services center at AEC’s facility in Riyadh. Industrial Batteries. January 2009, AEC signed a partnership with HBL Power Systems, Ltd, of India to manufacture industrial batteries in Saudi Arabia—the first such factory in the MENA Region to produce such batteries. Networking. April 2007. AEC and HCL Technologies, a global IT player based in India, sign agreement to implement IT projects in Saudi Arabia. These include implementing Networking Products and Services, Network Consultancy, Network deployment, design, installation, configuration and maintenance of networks, Network management Services, Security management services, infrastructure management services, and facilities management services. Thermal Imager/Binoculars. March 2001. AEC and the French company Thales sign an agreement of AEC to sell Sophie, the latest generation of handheld thermal imager/binoculars. 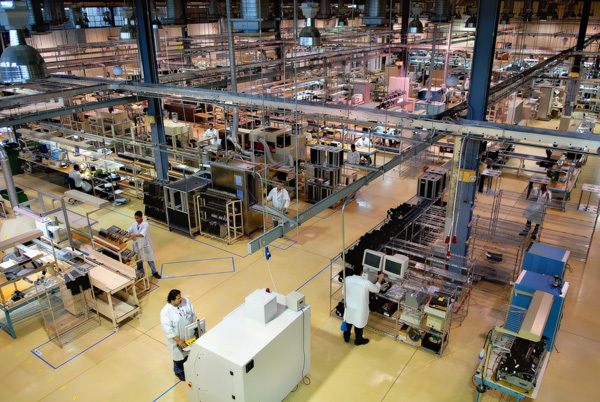 The new contract comes as the result of a previous contract in 1999, under which Thales contracted with AEC to manufacture Sophie at the AEC factory in Ryadh. Sophie is a multi-application thermal imager/binoculars, that can be used as a handheld camera fitted to a scout vehicle or lightly armored vehicle, or integrated into a firing control system. 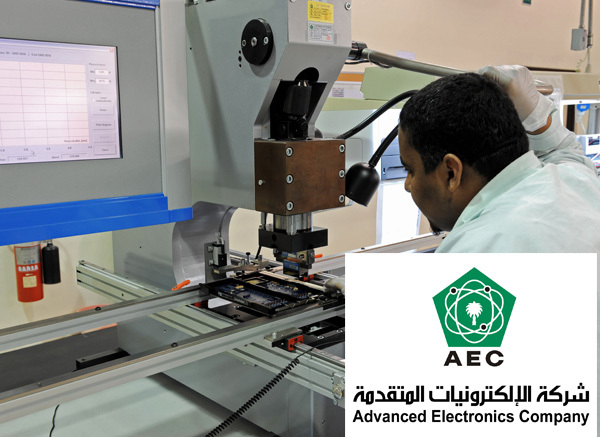 Advanced Electronics Company (AEC) was one of the companies created under the auspices of the Saudi Economic Offset Program, which originally started in the mid-1980s. 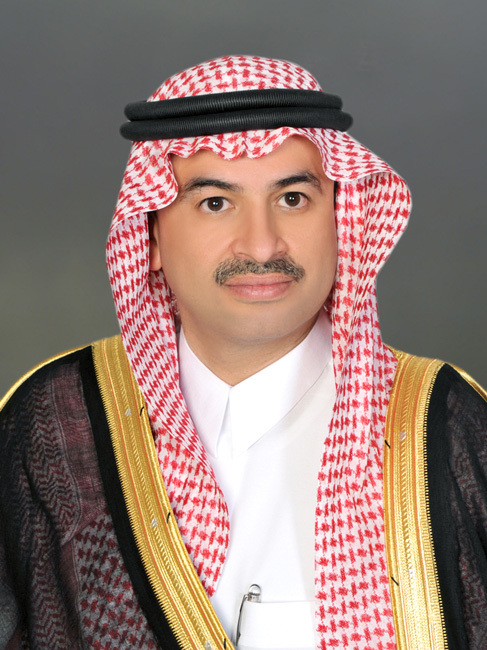 "An integral part of AEC strategy was to develop Saudis and create local capabilities through Saudi nationals—and that was clearly our major differentiating factor," says Dr. Ghassan Al-Shibl, President and CEO of AEC. "We have put in place quality assurance systems to make sure that whatever we do in the Kingdom of Saudi Arabia is no less good than what is done in the West, from where the technologies are coming from. Quality is a very important conditionality for AEC," he continues. AEC focused on critical technologies and dedicated itself to defence electronics, later on spreading into other areas such as ICT and industry (power and energy).